Our Informatics Team: Are We Ready for a Deluge of Deep Sea Data? Is the marine biology community ready for what seems like an inevitable deluge of data on deep sea species? A recent partnership between James Cameron’s DEEPSEA CHALLENGE and Wood Hole Oceanographic Institution1, is set to increase the science communities ability to gather data on deep sea species. Using advanced technology, developed by Cameron’s team, marine biologists around the world are surely about to generate a wealth of data. The release of an Apple Store app by the World Register of Deep Sea Species2 is perhaps a further indication of what is to come. 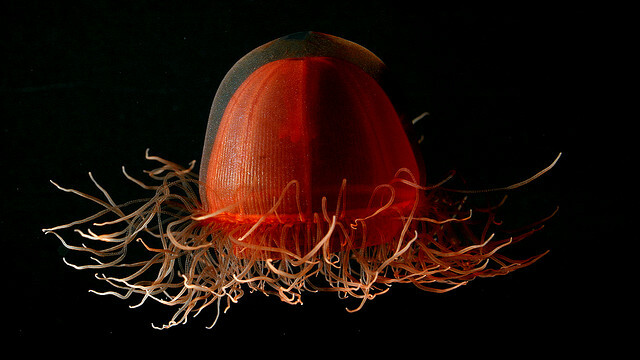 The 20,000 plus species currently described may just be a drop in the ocean. Our own experience is that over half of species from deep sea projects tend to be unknown, which is a commonly reported phenomenon from surveys3 around the globe. Considering it can take years before the taxonomic community accepts a species description, are current data processes up to the task? Using specialist software to store species records and link them to identification aids, like photo and video, facilitates easy and stable storage of this precious data. Please visit www.thomsonecologysoftware.com for more information.